Students at Risk is a scholarship programme that aims to support higher education students around the world who experience persecution, threats or expulsion from their institutions, because of their peaceful activism and fight for human rights and democracy. This is done by giving them a chance to finish their education in Denmark, so they do not to have to resign to their possibility of educating themselves. Students at Risk is a project initiated in 2012 in Norway by student organizations Studentenes og Akadamikernes Internasjonale Hjelpefond (SAIH) and Norsk Studentorganisasjon (NSO). The project has had very positive results and has made a difference in the fight for human rights, democracy and academic freedom. 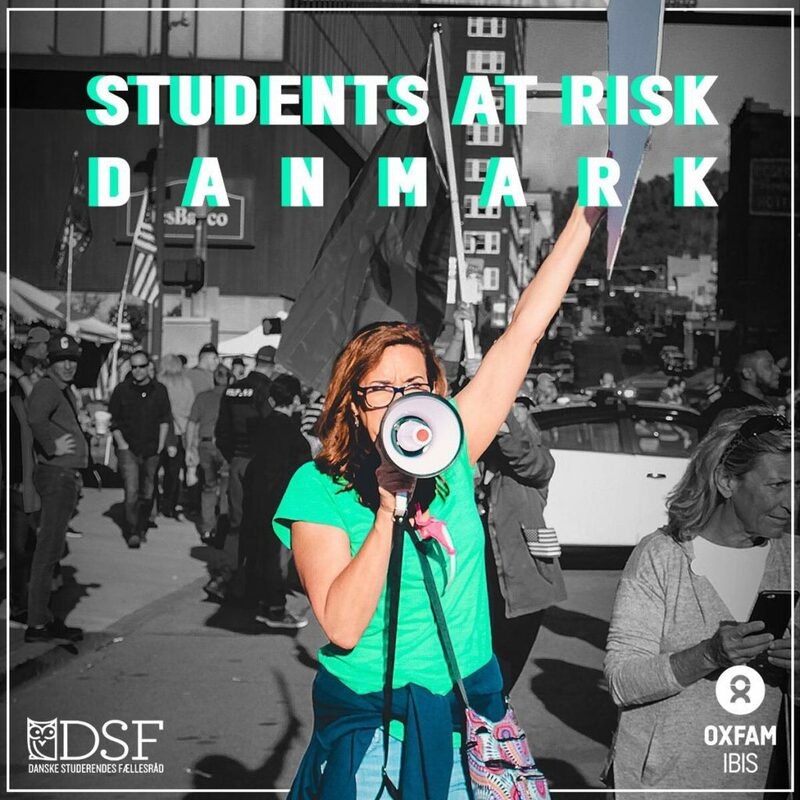 Together with Oxfam IBIS, Danske Studerendes Fællesråd calls the Danish Government to implement a Danish version of the programme. It is important that, in the same way as Norway, Denmark takes a stand to proactively work towards defending the global values that this project advocates for. Students at Risk is a call to take responsibility for assuring a more stable, democratic and peaceful world.